A 12″ chocolate cake iced with vanilla buttercream icing. 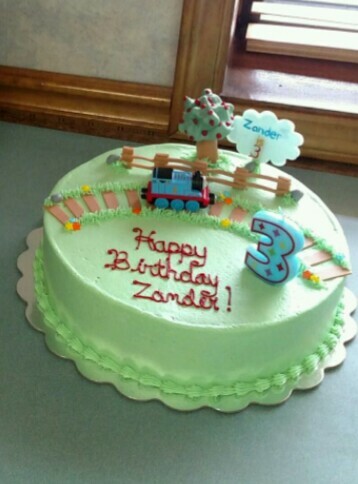 All decorations are handmade from fondant. Customer placed the train on at the destination. 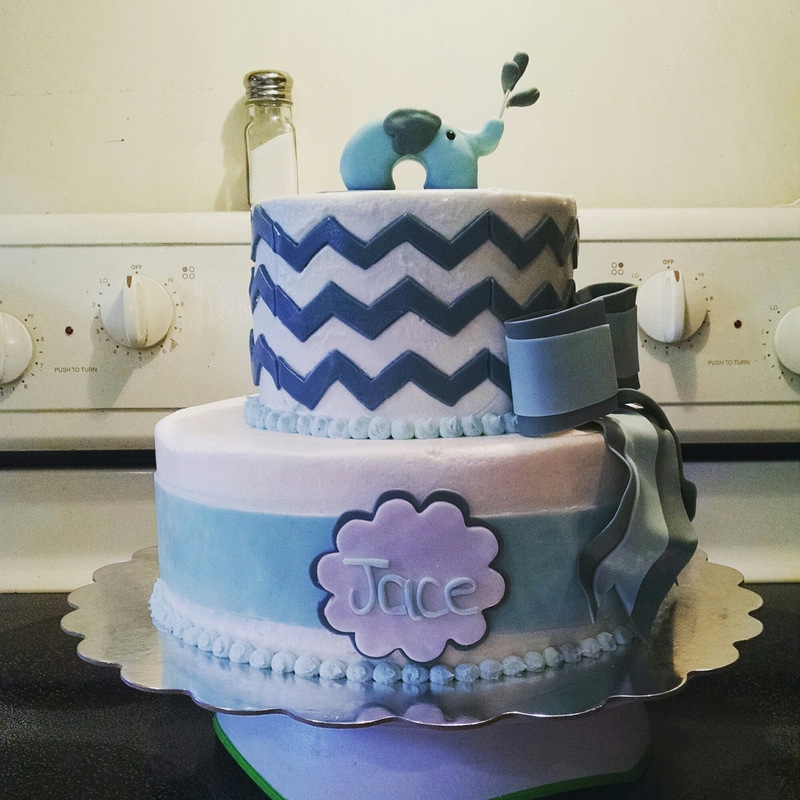 10″ and 6″ white cake iced with vanilla buttercream icing. 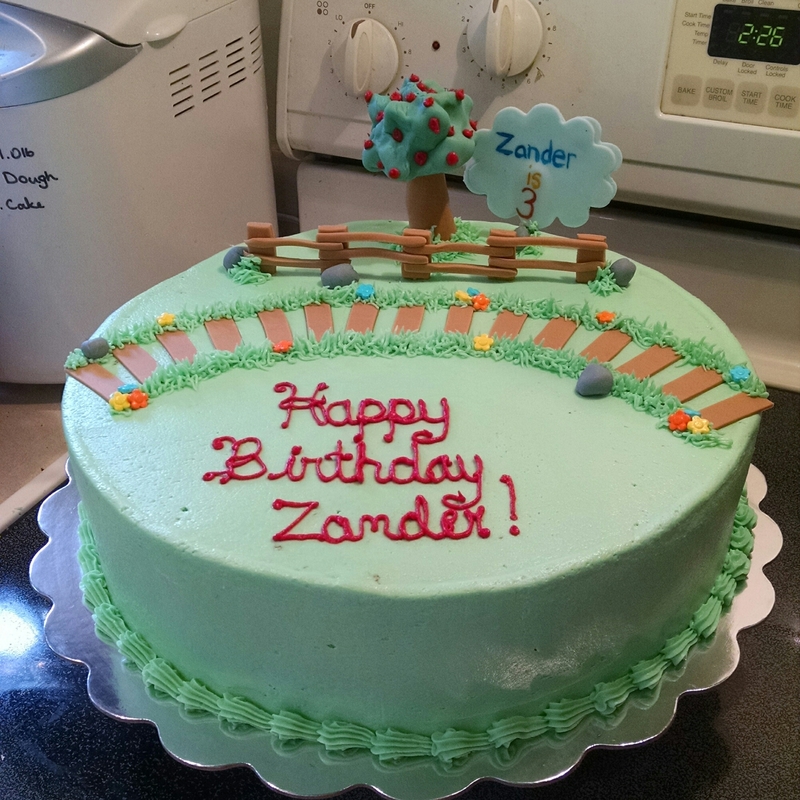 All decorations are hand made from fondant!